The 13th Annual Community Earth Day Celebration event will be held at the University of Michigan-Flint on Saturday, April 16, 10 a.m.- 4 p.m. in the Harding Mott University Center. The Earth Day and Garden Celebration is jointly sponsored by UM-Flint and Mott Community College (MCC). This community-wide celebration is free and open to the public. More than 50 local organizations representing the business sector, advocacy and service groups, and student organizations from both colleges will be sharing current information on how to care for the Earth. Many earth-friendly topics will be offered by exhibitors and presenters including: alternative energy, recycling, organic gardening, composting, energy efficient transportation, ecological awareness, native plants, rocks and gem displays, and live animals. Nature Discovery will again be bringing their extensive collection of reptiles and amphibians, many species which are native to Michigan. Visitors are encouraged to interact with and learn about them during several presentations scheduled throughout the day. For the car buffs, an outdoor car show invites both individuals and auto manufactures to talk with visitors about the latest hybrid and fuel efficient vehicles they have on display. The UM-Flint Early Childhood Education Center is holding a fun-filled Earth Egg Hunt for children. University Dining Services will provide a chef demonstration on how to prepare naturally healthy and tasty food. Students and artists of all ages are encouraged to create recycled art to enter in the Recycled Art Competition. Entry forms are printable from the website at www.earthday.mcc.edu. 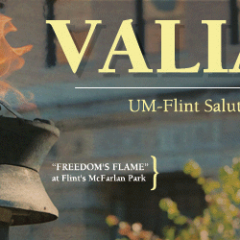 Art entries, along with the completed form, need to be received only on Saturday, April 16 and no later than 11 a.m. A panel comprised of faculty from the UM-Flint Communication and Visual Art Department will judge the contest. Awards will be presented at the Earth Day Celebration and the art will be exhibited throughout the day. 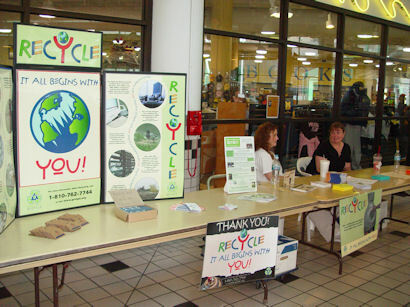 For more information or to learn how you can participate in the Earth Day celebration, please visit www.earthday.mcc.edu or call (810) 766-6763.